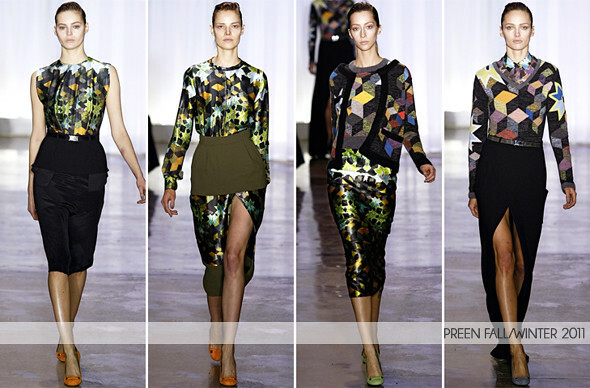 Although I have yet to see most of New York Fashion Week's runway shows, Preen was one of my favorites. 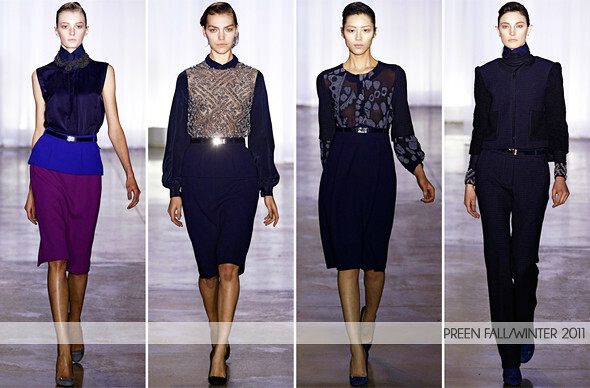 Once again, they presented a very feminine collection. I can't help but think it looked a little like Belle Sauvage. 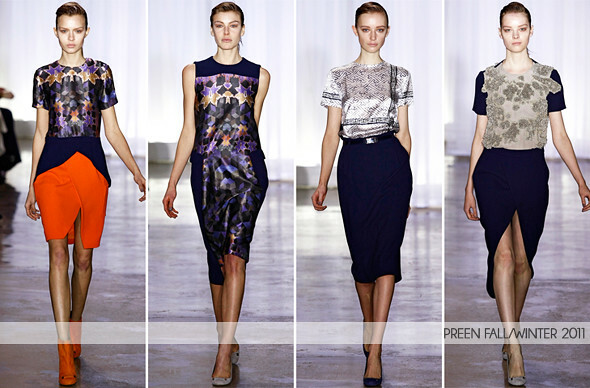 One of my favorites from this collection is the block-printed silk dress, also love the use of orange.